"Royal March" redirects here. For the former Italian anthem, see Marcia Reale. "Viva España" redirects here. For the song also known as Y Viva España or Que Viva España, see Eviva España. The Marcha Real (Spanish pronunciation: [ˈmartʃa reˈal], "Royal March") is the national anthem of Spain. It is one of only four national anthems (along with those of Bosnia and Herzegovina, Kosovo and San Marino) in the world to have no official lyrics. One of the oldest in the world, the anthem was first printed in a document dated 1761 and entitled Libro de la Ordenanza de los Toques de Pífanos y Tambores que se tocan nuevamente en la Ynfantª Española (Book of the Ordenance of Newly Played Military Drum and Fife Calls by The Spanish Infantry), by Manuel de Espinosa. There, it is entitled La Marcha Granadera ("March of the Grenadiers"). According to the document, Manuel de Espinosa de los Monteros is the composer. There is a false belief that its author was Frederick II of Prussia, a great lover of music. That started in 1861 when it appears for the first time published in La España militar (The Military Spain). In 1864, the colonel Antonio Vallecillo publishes the history in the diary El Espíritu Público (The Public Spirit), making the supposed Prussian origin of Marcha Real popular. According to Vallecillo, the anthem was a gift from Frederick II to the soldier Juan Martín Álvarez de Sotomayor, who was serving in the Prussian Court to learn the military tactics developed by Frederick II's army, under orders of King Charles III. In 1868, the history is published in Los Sucesos, changing the destinatary of the gift with Pedro Pablo Abarca de Bolea, Count of Aranda. The myth was picked up in different publications of 1884 and 1903 until it was included in 1908 in the Enciclopedia Espasa. According to the tradition in 1770, Charles III declared the Marcha de Granaderos as the official Honor March, and that formalized the habit of playing it in public and solemn acts. It became the official anthem during Isabel II's reign. After the 1868 Revolution, General Prim convoked a national contest to create an official anthem, but it was declared deserted, advising the jury that Marcha de Granaderos was considered as such. By Alfonso XIII's time, it was established by a Royal Circular Order (27 August 1908) that interpreted the harmonization of the march done by Bartolomé Pérez Casas, Major Music of the Royal Corps of Halberdier Guards. During the Second Republic, Himno de Riego was adopted as official anthem, but after the Spanish Civil War, Marcha Real returned to be used as anthem, sometimes sung with the verses written by the poet José María Pemán in 1928. The actual symphonic version of the Marcha Real that replaces the Pérez Casas one belongs to maestro Francisco Grau and is the official one after the Royal Decree of 10 October 1997, when the Kingdom of Spain bought the author rights of the Marcha Real, then belonging to Pérez Casas's heirs. According to the Royal Decree 1560/1997, the anthem should have a tone of B major and a tempo of 76 bpm (♩=76), with a form of AABB and a duration of 52 seconds. Under the Trienio Liberal (1820–1823), the First Spanish Republic (1873–74) (when it enjoyed of a co-officiality) and the Second Spanish Republic (1931–1939), El Himno de Riego replaced La Marcha Real as the national anthem of Spain. At the conclusion of the Spanish Civil War, however, Francisco Franco restored La Marcha Real as the country's national anthem, under its old title of La Marcha Granadera. The current official version, as described in Royal Decree 1560/1997, is a sixteen-bar long phrase, divided in two sections, each one is made up of four repeated bars (AABB form). Tempo is set to ♩= 76 and key to B flat. The long, complete version is the honors music for the King, while a shorter version without the repetitions is performed for the Princess of Asturias, the President of the Government of Spain, or during sporting events. There are also three official arrangements: one for orchestra, another for military band, and a third for organ, written by Francisco Grau Vegara and requested by the Government of Spain. All in all, there are six different official adaptations, for each arrangement and length. They all were recorded by the Spanish National Orchestra and the Spanish Royal Guard Band as an official recording and released on compact disc for a limited period of time. As the harmonisation of the Marcha Real was written by Pérez Casas in the early 1900s, the copyright has not yet expired. The government bought it from Pérez Casas' estate in 1997 for 130,000,000 pesetas (781,315.734 euros) to avoid future legal problems. 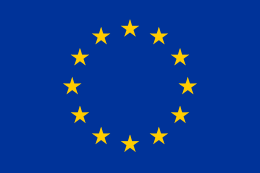 Until it expires, the copyright belongs to the Ministry of Culture and collecting societies charge copyright fees, which has led to criticism. As a result, many different harmonisations have been devised by performers to avoid paying. Nonetheless, the rights to the 1997 Francisco Grau revision were transferred to the government at no charge, but they were not placed in the public domain. Though the Marcha Real has no lyrics, words have been written and used for it in the past. 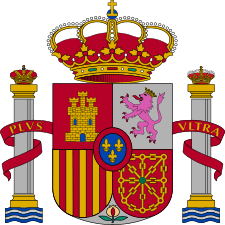 One version was used during Alfonso XIII's reign and another during General Franco's dictatorship; however, none of them were ever made official. The national anthem has been played without words since 1978, when the lyrics that had been approved by General Francisco Franco were abandoned. After witnessing a rendition of "You'll Never Walk Alone" at Anfield in 2007, the President of the Spanish Olympic Committee, Alejandro Blanco, said he felt inspired to seek lyrics to La Marcha Real ahead of Madrid's bid to host the 2016 Olympic Games. A number of the autonomous communities of Spain have their own anthems. An open competition for the lyrics resulted in 7,000 entries. Long live Spain! Let's sing together, with different voices, and only one heart. Glory to the sons who have given to history justice and greatness, democracy and peace. Gora Espainia! Abestu dezagun, ahots desberdinez, eta bihotz bakarrez. Gora Espainia! Ibar berdeetatik, itsas zabalera, anaitasun kanta. Visca Espanya! Anem tots a cantar junts, amb veus diferents, i un sol cor. Visca Espanya! Des dels verds valls, l'immens mar, un himne de germanor. L'amor a la Pàtria, que sap abraçar, sota el cel blau, pobles en llibertat. Glòria als fills, que donen a la història, la justícia i grandesa, la democràcia i la pau. Viva España! Imos todos cantar xuntos, con voces diferentes, e un só corazón. Viva España! Dos vales verdes, ao inmenso mar, un himno da fraternidade. Amor da Patria, que sabe abrazar, baixo do ceo azul, pobos en liberdade. Gloria aos fillos, que a historia dá, xustiza e grandeza, democracia e da paz. On January 16, 2008, just five days after presenting the competition winner to the public, the Spanish Olympic Committee withdrew the proposal after widespread public criticism due to the lyrics' supposed nationalist tone. that honor is our law! Nobody, he lives, Spain, us start! his noble pace cry of the Fatherland faith! of the Spanish people, who are rising again. over the blue of the sea the path of the sun. sing to the rhythm of the hymn of the faith. the new powerful life of labour and peace. jende Espainiako,Nor dira berriro igotzen. itsas eguzkiaren bidea urdina gainean. nahi erritmoak, diru fede ereserkia da. lan eta bakearen berri eta indartsuak bizitza. jende Espainiako, Nor dira berriro igotzen. del poble espanyol,que torna a ressorgir. sobre el blau del mar el caminar del sol. cantar al ritme,l'himne de la fe. la vida nova i forta del treball i la pau. del poble espanyol, que torna a ressorgir. do pobo español, que están crecendo de novo. sobre o azul do mar, o camiño do sol. cantar ao ritmo, do himno da fe. cantar ao ritmo,do himno da fe. a vida nova e poderosa do traballo e da paz. 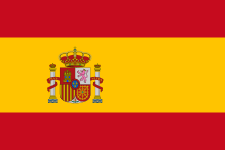 Military bands of the Spanish Armed Forces and the National Police Corps of Spain and civilian Marching bands and Concert bands play the B flat-major version of the anthem adapted for wind bands (as arranged by Francisco Grau), and playing the A Major version is optional. The bugle call "To the Colors" in Spain is the version played by Bugle bands in Spanish churches in religious occasions and processions organized by civil groups and the parishes. Various versions adapted for the drum and the bugle are used, even though brass instruments play the anthem as well. But in some bugle bands, the A flat version of the anthem (the old official one, adapted for the bugle) is played. Only a bugle call is sounded when the B flat version is played. ↑ "Spain – Marcha Real". NationalAnthems.me. Retrieved 2011-11-23. ↑ Boletín Oficial del Estado Royal Decree 1560/1997. ↑ Official anthem release album cover. ↑ Boletín Oficial del Estado Royal Decree 1543/1997. ↑ "El himno da aún mucho dinero". Crónica. #604. May 27, 2007. "Cuando el himno es de un particular". Periodista Digital. May 27, 2007. ↑ Boletín Oficial del Estado Royal Decree 2027/1998. ↑ Elkington, Mark (January 16, 2008). "Divisive national anthem lyrics ditched". Reuters. Retrieved 2016-08-24. ↑ "Lost for Words", The Economist, Vol 384 Number 8539. ↑ "Spain: Lyrics for Anthem Pulled". New York Times. Associated Press. January 18, 2008. Retrieved 2011-01-13. ↑ "Controversy over lyrics stalls Plácido Domingo's dream of singing Spanish anthem". International Herald Tribune. 16 January 2008. Retrieved on 17 January 2008. UNANU – The "Union Nacional de Antiguos Oficiales y Suboficiales de las Milicias Universitarias" has a website about the anthem, with a complete instrumental version. Archived from the original on 22 October 2004.